In the first of our regular Windhorse team blogs, Phil Harrall our CEO talks through the concept of the Pouncer from the beginning, and why it's original format as a versatile carrier is so important. 'From the outset, POUNCER has always been thought of, by us, as multi-purpose. The original concept was to provide ‘food from the air’, and while that's still vastly important, flexibility is the key to everything in aviation. We therefore looked into medical aid, including the use of transporting vaccines, general aid such as blankets and clothing and allowing a mixed load of all of these aid packages. From talking with the World Food Programme, Oxfam and other NGO’s it’s the flexibility of POUNCER and its carrying capability that has their interest. The Autonomous Aerial Vehicle System (AAVS) comes in three sizes and is based on a common clipped-delta shape, delivering low wing loading that can achieve a better than 8:1 glide ratio. The Mark 1 can carry aid with an all Up Mass (AUM) of 20kgs, enough to feed 20 survivors for 1 day; Mark 2 airframes can carry up to 50Kgs, (50 survivors for 1 day) and the Mark 3 a 100Kgs. Obviously the number of survivors at a given location will drive the choice of air vehicle and the aid packages to be delivered. Windhorse Aerospace is working alongside Frazer Nash Consultancy, and using the data supplied by the Centre for the Epidemiology of Disasters (CRED) have focused on 3 regional scenarios, Mountain, Island and Area of Conflict. In all 3 of these scenarios POUNCER has a massive role to play. 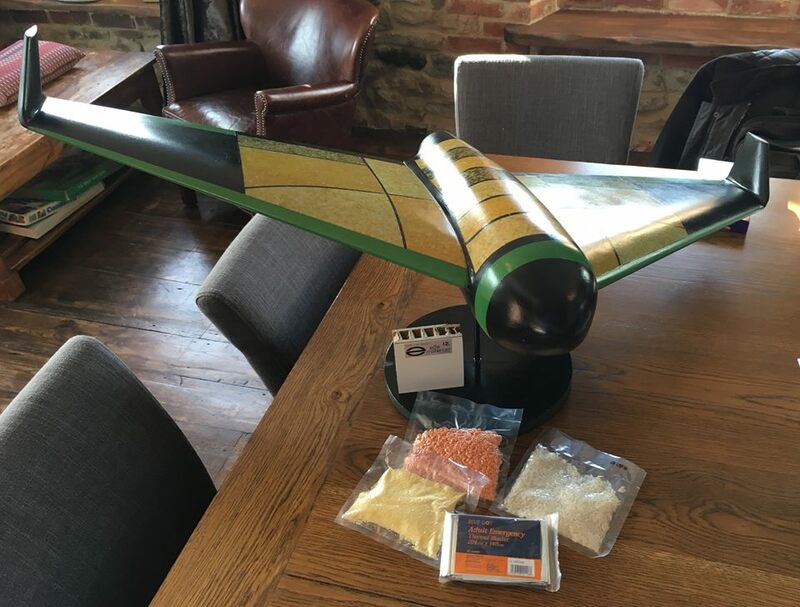 In mountainous regions some villages will be cut off for months with aid unable to be delivered by traditional means, but POUNCER can be used to fly aid to different villages with suitable aid packages in such regions. With the Island scenario, we thought of the damage caused to Haiti and how some areas, according to press releases, have still to receive aid. POUNCER could be flown in by cargo aircraft or catapulted from a surface vessel. Mixed loads will also offer greater flexibility in the the delivery of vital aid. Areas of conflict are extremely challenging for the aid agencies, but with POUNCER's glide range of 35Kms the dropping aircraft can ‘side step’ ground fire or may be able to launch POUNCER from the safety of another country thus keeping the aircraft and aircrews safe as well as adherent to local airspace rules.